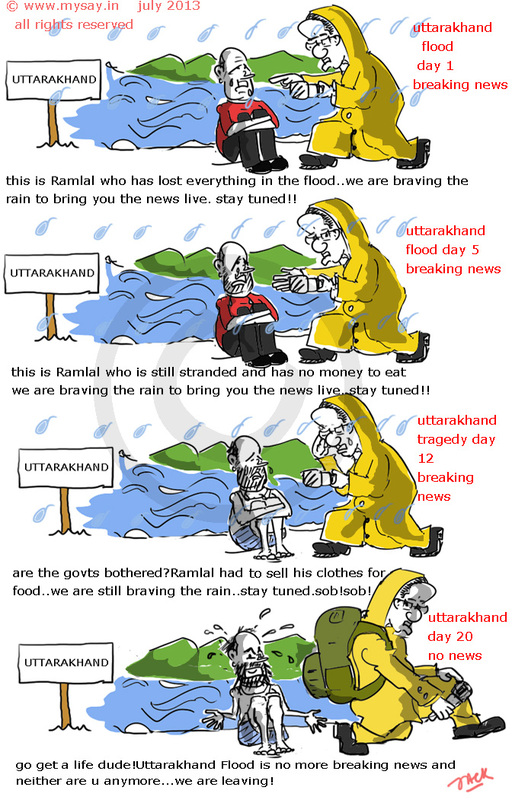 Uttarakhand Tragedy Breaking News No More? Its only about Abu Jundal since he is caught ! Abu Jundal with many alias names was arrested last week,after being deported from Saudi Arabia at the Delhi Airport.Surely this is a major breakthrough for India as he is one of those operators who is said, was sitting at some Karachi Headquarters of ISI, guiding terrorists who had intruded Mumbai in Nov 2008! He is also said to have coached Pakistan based terrorists, Hindi, to accomplish the terror mission! Jundal who originally belongs to India has been making Headlines almost every second hour since he is caught – What kind of guy he was as a kid ?, His mother says he is innocent !,He has Pakistani Passport as well ! ,where is the LeT,the Terror outfit, plans to bomb next ! Pakistan’s denial of being involved in terror attack after Abu Jundal confessed help from ISI and the list just continues ….